Your chance to buy factory .40 S&W factory new ammo at a great price! I sold all of my .40 S&W firearms and I still have some ammo left. 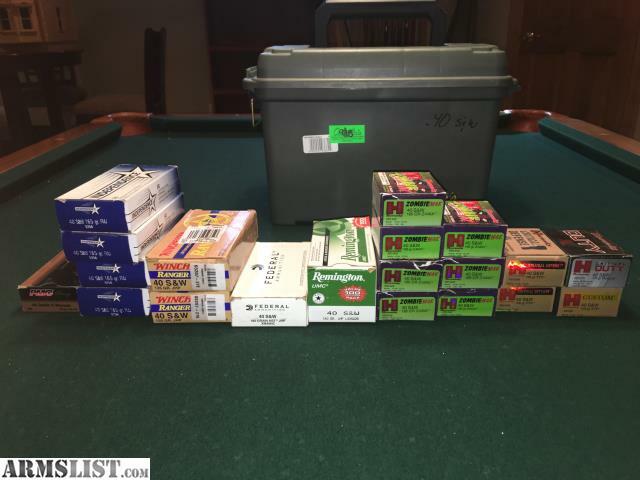 All of the ammo was bought at Cabelas or online. Includes Cabelas dry-storage ammo box.